The summer holiday season is almost over, and your thoughts will be turning to getting the office back in order ready for work. Health and safety compliance and meeting safety glass regulations is always a concern. So what better time than now to make sure that your office meets all of the required standards? Why is Glass manifestation important for health and safety? Glass can be dangerous – that goes without saying. There are lots of areas in the office that use glass, and glass partitions are now extremely popular. In order to meet safety standards, it is essential that glass cannot shatter in a way that causes harm to people. Glass film (also known as glass manifestation) helps with this by keeping the glass in one piece even if it cracks. As well as looking good, it prevents people from inadvertently walking into the glass by making it more visible. Frosted Manifestation is a cost effective and easy ways to ensure compliance with the building regulations. If you have full height glass in any windows, doors or partitions, it must be marked with glass manifestation to make sure that it can be seen. Failing to add manifestation for glass or safety stickers for glass doors can mean you are not compliant with the building regulations. You could also be liable for legal action if an employee or member of the public is injured as a result of bumping into glazing that does not meet the legal requirements. A) They are clearly defined, with manifestation on the glass at two levels: between 850mm and 1000mm and also between 1400mm and 1600mm above the level of the floor. This must contrast visually with the environment that is visible through the glass (inside and outside) regardless of the lighting conditions. b) The glass manifestation can take the form of a logo or sign which has to be at least 150mm high (the pattern must be repeated if it is on a glazed screen), or alternatively, it can display a decorative feature such as frosting, broken lines or bands, which are at least 50mm high. Purlforst produces a wide range of building regulations compliant manifestation graphics. We’ve been working with specifiers, architects and designers for many years. We supply and fit stunning graphics for your office partitions. We offer a complete service that is perfect for offices and retail outlets. 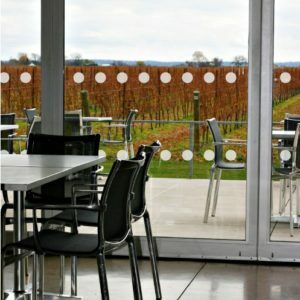 If you need safety stickers for glass doors, Purlfrost has something that will suit any office. 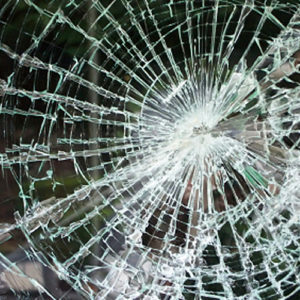 Even if your glazing is shatterproof hardened glass, adding a layer of thin security film can protect against smash and grab attempts. This will reduce the amount of mess if the worst does happen and the glazing is broken. We can supply all of the tools you will need for a self-installation of our glass manifestation products. Alternatively, we can quote you for our installation service, which covers the Greater London area and the Home Counties. Our glazing manifestation products are available for purchase directly from our website, or we can professionally install window film and window graphics for you. If the design you want is not in our range, contact us with your details, and we will get back to you with a quote. 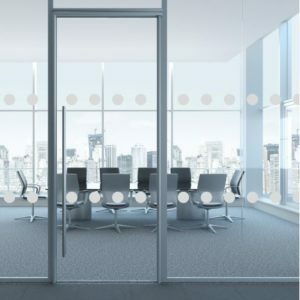 Call us today to find out how you can get your office in order – and combine compliance with safety glass regulations with a stunning new look.